I watched an episode of 'The Good Life' this week which co-starred GC as Tom Goods bank manager. Typical, sterling acting from GC. 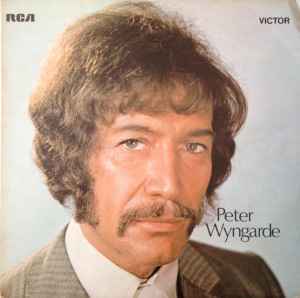 The way he played his character was very, very similar to that of Longdale in the Sweeney episode 'Tomorrow Man', virtually identical. This episode of TGL was special in as much that it was performed live infront of an audience which included the Queen. It was introduced by the producer who explained the different indoor sets and he also gave an interesting short talk on the locations used for the outdoor scenes in the series. Sounds very interesting. I have no recollection of this at all, I must look out for it. Was shown on GOLD this week Gustav, may well be repeated. I have known about this for years but have never got around to seeing it. Something tells me I believe GC did it live on stage too but I could be wrong - this requires a bit of research. I'll look out for catchup TV for this on Gold etc. Thanks for the heads up barrythebook! The episode in question is called 'When I'm 65' it was the final episode broadcast in 1978, his character was called Mr. Downs. 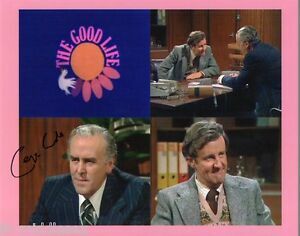 I have seen it many times well worth watching for George Cole but I find The Good Life is always worth watching, a lovely sitcom. I believe GC did it live on stage too but I could be wrong - this requires a bit of research. Yes it was all performed live in front of a studio audience but I don't know whether it was transmitted live or not. Is that the episode then wherein the house gets broken into, trashed and defaced by skinheads or something? I thought that was the final ever episode of TGL? If it is that one I've seen it. If not maybe it's just a special? I'm fairly certain the actual series ended on a really hollow, sad note? The episode you are thinking of, was the final episode of series four (first shown on May 22nd 1977), after series four (the final series), there were two more episodes of The Good Life, a Christmas Special (first shown on December 26th 1977) and the final one-off episode (featuring George Cole), which was first shown on June 10th 1978. For those wishing to see the episode featuring George Cole (When I'm 65) it's being shown tonight on the Drama channel (Freeview 20) at 17:40. Following this is the Christmas special from 1977 'Silly, But It's Fun....' which I can recommend as perfect viewing for Christmas Eve. (sorry for the late heads up I've just noticed it now). Caught a showing of a special live recording of The Good life on the Drama channel on Xmas eve. The good life was a great sitcom for its time. I’m currently watching this having recorded it from Gold and it’s also available on Catch Up if anyone still hasn’t seen it. Just managed to catch The Good Life’s GC episode, and I think it was great. I have just watched this one and agree with the positive comments above - this is a fun episode where Tom Good (forum favourite Richard Briers) is struggling to cope with getting old and makes plans to ensure his future is worthwhile. As part of his plans he decides to go to the bank and ask bank manager (Mr Downs played by George Cole) to slowly buy his house off him. Good's plan - over the course of 20 years he wants 2000 pounds a month off the bank, between the age of 65 when he retires until he is 85. The plan seems totally stupid and Mr Downs knows it but knowing what we know now, house prices rises in the UK would probably have meant that Tom Good was giving the bank a pretty fair deal. Meanwhile, The Good's neighbours (Margo and Jerry Leadbetter) are doing everything they can to keep fit. Again, as mentioned above this episode was specially filmed in front of a live studio audience that was attended by the Queen and Prince Philip. This is a real piece of TV history as we get a behind the scenes look at the studio and the episode as it was being shot with the cast all being introduced to the studio audience at the start and then meeting the Royals at the end, all included in the episode. Regardless of the episode content itself it is pretty cool to see George Cole meeting the Queen (although all dialogue between them is of course not audible). As mentioned at the start of the episode, the reason the Queen and Prince Philip were there was this episode was a 'Royal Command Performance' in aid of the appeal to send teams from the British Isles to the Commenwealth Games. Interestingly, they didn't do it with Fawlty Towers. Listen carefully as Briers enters the bank, I'm not entirely sure that Richard Briers doesn't call Mr Downs "Mrs Downs" by mistake. 8/10 - great viewing this, as you get to see some BBC production names in the flesh and how a TV sitcom was filmed at the time. So Tom Good invented the equity release craze that daytime telly is now plagued by, did he? Hmm. So, he was 40 when he chucked in his job, right? And that was 1975 when the Good Life started, so 43 when approaching the bank in 1978; so between the years of 2000 and 2020, when he'd be 65-85, he wanted 2 grand a month, totalling £480,000. For that lovely big house and huge garden in Surbiton? Bargain indeed. Were rising property prices not on their radar at all?